We asked three of our lovely residents to share what they enjoyed the most about life at The Highbury in Glen Waverley. 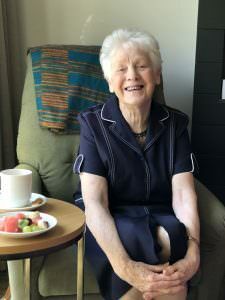 Noel Barrett recently moved from Kiverton Park Nursing Home to the brand new The Highbury home in Glen Waverley. 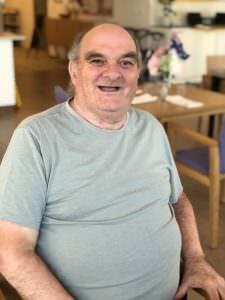 Noel likes the company of the other residents and delights in the group activities, in particular the games and quizzes. 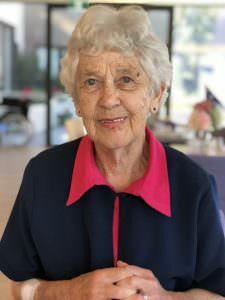 Margaret still drives her own car, which is parked at the home, to regularly visit her four children and their families who mostly live nearby. Lola Cogden just loves the company of her fellow residents at The Highbury, that is until she’s had enough and wants to be on her own in her own space reading a book. “What I really like is that I have the choice, I can do what I want,” said Lola. Lola came to The Highbury after struggling with mobility, but now with her walking aid and help from staff she says she’s got a new lease on life. “I love everything about the Highbury,” said Lola, “I love walking around the plants in the walking areas, I love the friendly staff and the food is great, it’s a pretty good life,” she said.